Founded in the late 1960's, as a result of the determination of one man, the late Ian Allan, to establish his own business in growing and marketing high quality seed and ware potatoes, the Company has continued, over the years, to supply its customers with the same commitment to service. The ability of the Company to deliver consistently has come about not only through personal attention but by early recognition of changes in the industry. That progressive approach and commitment to new technology and efficiency was carried through under the stewardship of the Founder's son, David Allan, and the Company's Managing Director, Alistair Melrose until 2011 when the Company was taken over by IPM. A complete range of up to date equipment from stone separators and harvesters to temperature controlled stores means A. J. Allan can confidently offer healthy damage free seed potatoes. These potatoes can be graded into a variety of size bands and treated efficiently with whatever chemical the customer requires. 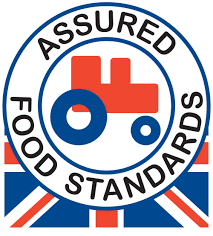 Constant attention to detail using integrated crop management systems assures quality, meeting with the aims of the Assured Produce Scheme and the requirements of Tesco's Nature's Choice - providing effective control of all Virus and Fungal Disease. Reliability and continuity are secured by an experienced, closely-knit team, the majority of whom have been with the business for years. The Seed Potato Classification Scheme (SPCS) ensures the continuing high quality of Scottish Seed Potatoes, by setting strict tolerances for freedom from disease and trueness to type. SASA is the Certifying Authority for the SPCS and also carries out a range of scientific activities in support of seed potato classification in Scotland.